Firstly I, along with my family, are Austin 7 enthusiasts and regularly drive our cars. 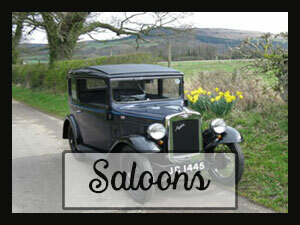 We now run a selection of cars, for social outings, club events and occasional displays. By profession I was a headteacher and used an Austin 7 most days for work. Now retired, we are seen out and about even more in our cars. Do not hesitate to ring for a chat, whether it is specific or an initial inquiry. We live at Beckingham, Lincolnshire, but we have a unit at Dunholme, Lincoln, where we have our cars which are for sale. Dunholme is easily reached being just north of Lincoln and accessed from either the A1 or M180. Everyone has had or knows someone who has owned a 7, from millionaires to students. Throughout the country and in fact the world, there are numerous Austin 7 clubs and the friendship and support is wonderful. 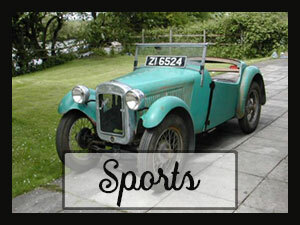 Austin 7 Specialist buy and sell Austin 7 cars throughout the United Kingdom. We have them in various conditions from needing restoration to excellent. 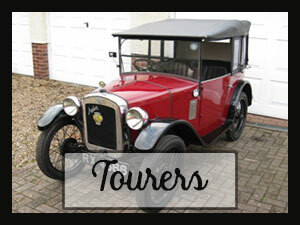 We have all types of Austin 7 from the Ruby to the Chummy and more. Ring for a chat with a real enthusiast to discuss your requirements. 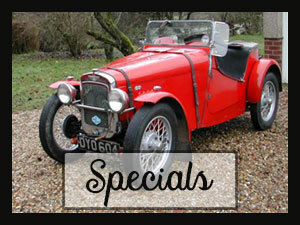 We can also give advice on suppliers of Austin 7 spares. We regularly take part in Austin 7 events where we exhibit, compete and occasionally sell spare parts. PLEASE NOTE – Photos shown on this website are examples of vehicles sold, they are NOT present stock.